Recent advances in metaproteomics have provided us a link between genomic expression and functional characterization of environmental microbial communities. Therefore, the large-scale identification of proteins expressed by environmental microbiomes allows an unprecedented view of their in situ metabolism and function. 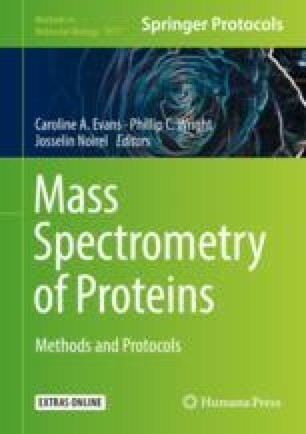 However, one of the main challenges in metaproteomics remains the lack of robust analytical pipelines. This is especially true for aquatic environments with low protein concentrations and the presence of compounds that are known to interfere with traditional sample preparation pipelines and downstream LC-MS/MS analyses. In this chapter, a semiquantitative method that spans from sample preparation to functional annotation is provided. This method has been shown to provide in-depth and representative results of both the eukaryotic and prokaryotic fractions of freshwater microbiomes. The authors would like to thank the Natural Environment Research Council (NE/J024767/1) and the Technology Strategy Board for funding this work.